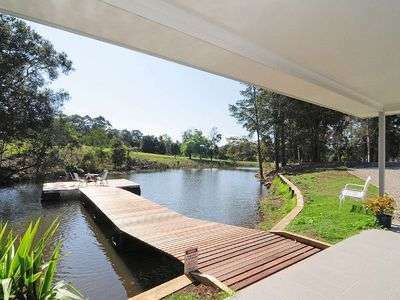 Rest and Relax in a Pet Friendly, beautiful romantic setting close to Berry on the South Coast of New South Wales. Three excellent Lodges, The Stables, Wisteria Cottage and Herons Rest where Guests enjoy country hospitality and are treated as the owners, Trevor and Carol, would like to be treated themselves. The Stables at Tapitallee near Berry has two bedrooms, one with a queen size bed and the other with two single beds, two bathrooms, a full kitchen and room to move. The Stables is located amongst the trees with a large grassy area in front of the cottage. It is 375 metres off Illaroo Road so you enjoy the birds, the wombats, the bush and your own tree change. If you want to get away from the rush and bustle of the city the Stables will be your idea of heaven. 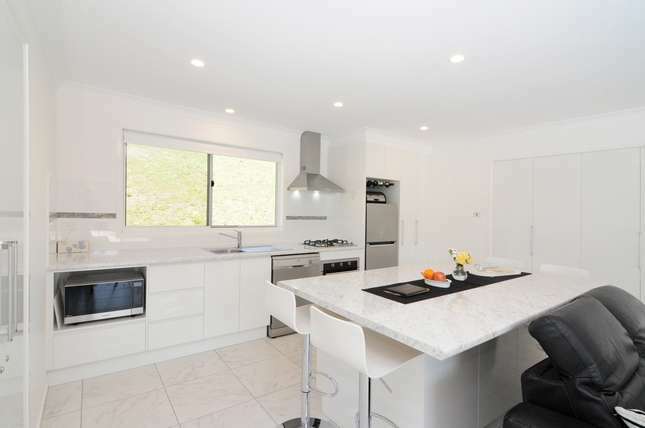 Wisteria Cottage has two bedrooms, one bathroom, outside barbeque shade cloth covered area and an unbelievable view across the Shoalhaven Flood Plain to the Tasman Sea. It is located near Berry above. Heron’s Rest is a modern brand new two bedroom cottage with divine views. It will have you melting straight into the comfy leather lounge. 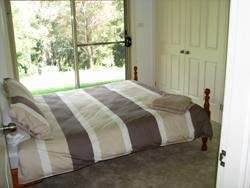 Both bedrooms have queen size beds and their own private ensuite. 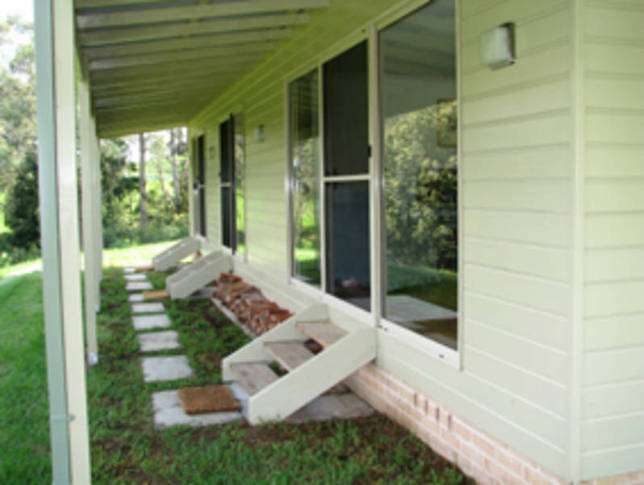 This property is wheel chair friendly. 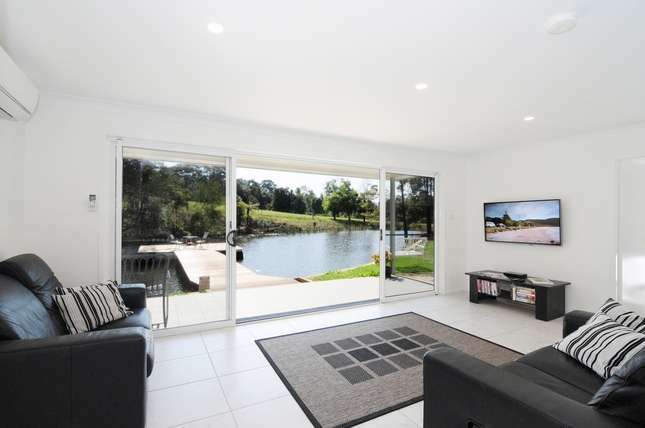 Nestled in a quiet picturesque property in Tapitallee, Heron’s Rest overlooks your own private dam and pontoon. The Stables and is an ideal retreat for a couple to escape to Berry from Sydney or Canberra. Wisteria Cottage is suited to longer stays as it has a laundry. 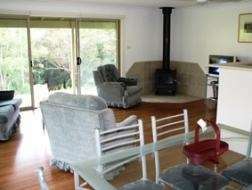 Boutique, romantic, restful retreat just a short distance from Berry and Nowra. Enjoy nature in these three beautiful cottages. 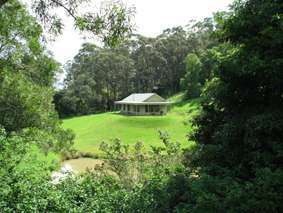 In a rural setting, in the foothills, close to Berry and just west of Nowra. You will love the slow combustion fire and very comfortable fittings and furnishings. Quality linen is supplied along with a pantry. Welcome wine, local Berry cheese, biscuits on arrival and yummy home made bread. Pet friendly at Berry. Close to nature.